Here is a wonderful spin on the traditional hummus recipe I blogged recently. 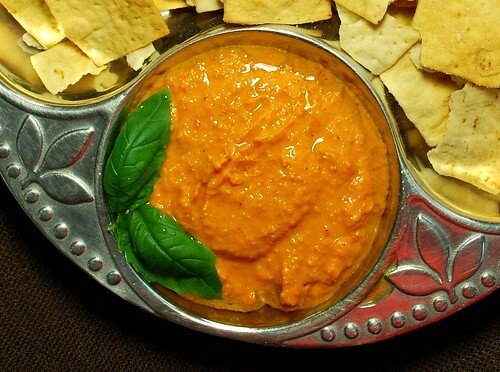 The roasted red peppers give hummus a tangy sweetness, and an extra zesty spice. Measure all ingredients into a food processor. Pulse several times to chop up the ingredients. Then process on high for 2-3 minutes, or until hummus is smooth and thick. Refrigerate for at least 30 minutes to allow the flavors to meld. 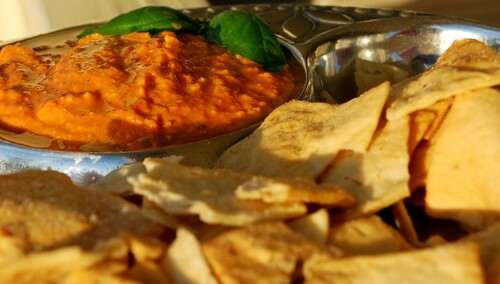 Serve with fresh pita bread or pita chips.